At the end of September, the sprayer malfunctioned while putting an application on the greens at BVCC. It was discovered that the sprayer was putting out a much higher rate than intended. Due to this malfunction, some of the greens were injured. The most notable of the greens injured was #1. 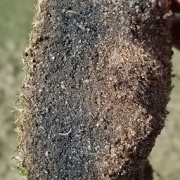 While most of the green will recover on its own with time, an underlying issue was exposed which will require some additional work to be done. The front (bottom) of #1 green was significantly damaged from the malfunctioning sprayer. The reason for this is that the drainage in the green is not functioning properly. 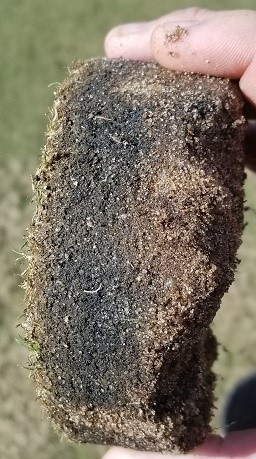 Where most of the green was able to drain the excess chemicals through, the front of the green held onto the chemicals and the grass soaked them all up, due to the drainage not working properly. This highly concentrated area of the green was not able to withstand the injury. Moving forward, it is in the best interest of BVCC to fix the drainage issue, to prevent potential future problems. While this drainage replacement would be a significant improvement, it should be noted that this will be a temporary fix until we completely renovate the entire greens drainage. Starting Monday November 26, the new drainage pipe will be installed in the front portion of the green. We will re-sod this area using grass from our nursery green. 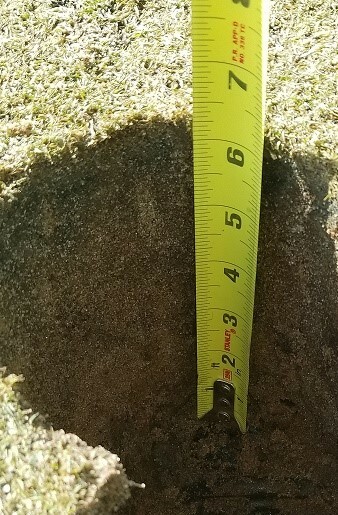 While we do not anticipate the green being closed for a long period of time, we will need to use a temporary green on #1 while the sod grows in and becomes an acceptable playing surface. Thank you for your patience as we perform this necessary work. Drainage Pipe on Front of #1 Green. The USGA recommends drainage pipe be at least 16 inches deep. The current depth is only 6 inches deep. Black layer caused by broken drainage pipe and pipe being installed at an inadequate depth.